For months, we have seen Hangouts shift from Google's primary messaging service to being focused on business use. 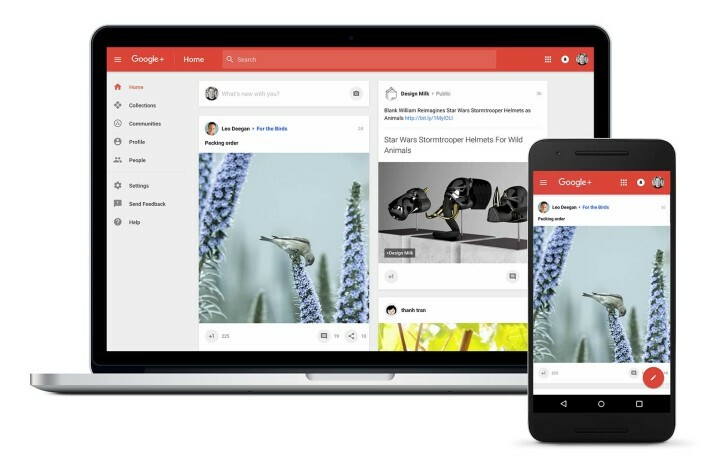 The official Google for Work (which is in the process of becoming Google Cloud) blog has announced that Google+ is moving to the same purpose, and is now a core feature for businesses to use. Starting immediately, Google+ will have "the same technical support and service level commitments as any other core service, like Gmail or Google Drive," according to the blog post. This shows that Google is serious about the future of Google+, perhaps not with a focus on the average user, but no doubt both parties will benefit from continued support from Google. Google+ when used in Google for Work is identical to the public version, with a few minor differences. You cannot revert back to the old G+ UI when using Google for Work, and users must be on the latest version of the mobile apps. In addition, domain-restricted content and activity can be monitored and changed by the network administrator, as you might imagine. Google says that Plus "helps drive active engagement and cultivate innovative ideas from all levels of the organization." The level of engagement a corporate-run social network creates may be disputable, but at least Google+ is unique. As far as I am aware, there is no other major social network that supports internal use by enterprise on this level, besides various open-source social networks that can be adapted by each individual company.